SwimRun races take place all around the world. We have selected several of the better-known European races as an introduction. We have personally taken part in the races in Engadin in Switzerland, also Hvar in Croatia, and also Bologna in Italy. In a few weeks time we will also attempt the World Series event in the Isles of Scilly, U.K., which is another event organised by Ötillö. SwimRun Isles of Scilly, U.K. This race is organized by the original Swedish swimrun company, Ötillö, founded by Michael Lemmel and Mats Skott. The Isles of Scilly is a small group of islands that lie 30 miles off the south-west of England, out in the Atlantic Ocean. The group is made up of a number of islands, the bigger ones are inhabited, while a number of smaller islands are not inhabited. At the Isles of Scilly event, there are 3 swimrun races to choose from. The shortest is the "Experience" distance, which is relatively short, and allows people to have a go without a big training commitment, and also allows people to enter as individuals rather than as teams of 2. The middle distance is the "Sprint" event, which is open to couples as well as individuals, and covers several runs and swims. The main event is the "World Series" distance, at 38km. This is for teams of 2 only (no individuals), and the final cut-off time is 8 hours. Read more about the only Ötillö event in the U.K. HERE. This held on the beautiful island of Hvar, Croatia. The waters are quite literally crystal clear - a small boat moored near the shore appears to be floating on air - and the old Hvar Town is a quaint and charming resort. This event is organized by the Ötillö company, and features 3 separate races. Again, there is the short "Experience" distance, which can be done as a couple or as an individual. Next is the intermediate "Sprint" distance, again for couples or individuals. Finally there is the long World Series event, which is for teams of 2 only. Read more about Hvar HERE. This is also organized by Ötillö, and is held in the picturesque Engadin valley, near the famous St. Moritz. As before, there are 3 distances to choose from; The shortest is the introductory "Experience" event, the middle distance is the "Sprint" event, and the longest distance is the "World Series" event. The Engadin valley is high in the Alps, which means the lake waters are cold, and the air is thinner than at sea level = less oxygen! This is an interesting location. Read more about this SwimRun race high in the swiss alps HERE. Despite the name, this race is not actually that near to the italian city of Bologña. It's about 45 minutes by car south, which puts it closer to Florence! However, it is organized by the Bologna SwimRun company, and so bears that name. It's held between 2 small lakes, in the italian countryside, and as usual there are several swimrun races to choose between. Read more about the Bologna swimrun HERE. In the Southern Hemisphere! New Zealand is the ideal place to hold a swimrun race, with it's rugged terrain and lakes in South Island, and the warmer offshore islands of the Bay of Islands in the North Island. 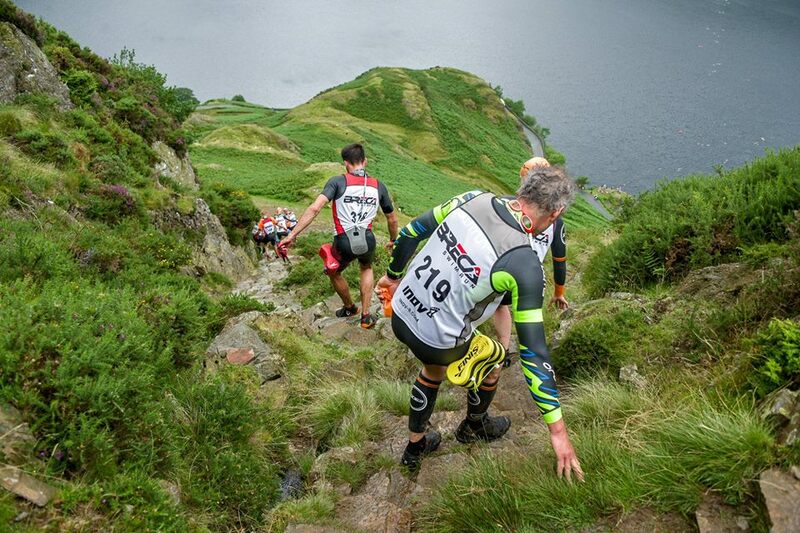 Breca is a swimrun races organizer based in the U.K., but makes the trip to New Zealand each year to run 2 races - one in the rugged South and one in the beautiful Bay of Islands in the North. These 2 SwimRun races are quite different in nature, but they are held a few weeks apart, so you could theoretically do BOTH in one trip! Read more about SwimRun Breca New Zealand HERE. and the Ötillö website Here.